This statistic displays the results of a survey. 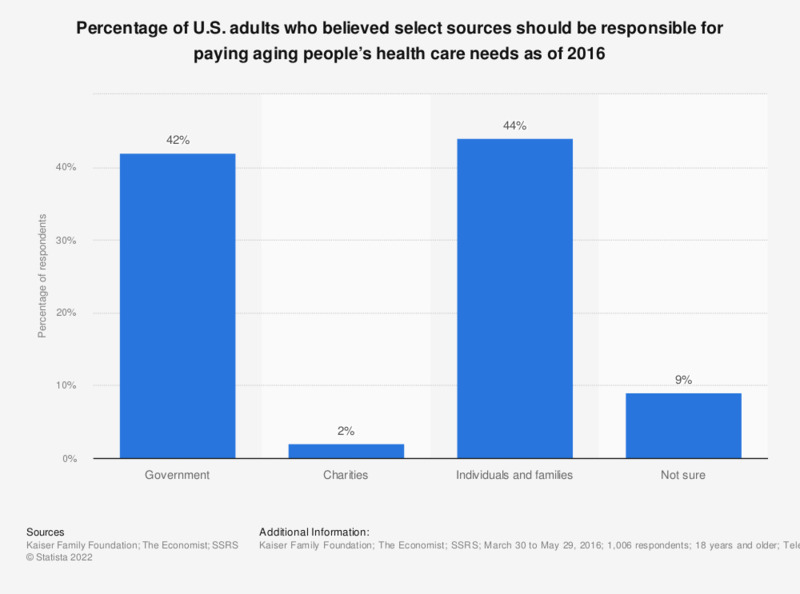 It shows the percentage of adults in the U.S. who believed select sources should be responsible for financing people’s health care and long-term care needs as they age, as of 2016. It was found that 42 percent of respondents believed the government should pay for the health care and long-term care needs of people as they age. Original question: "Who should bear the greatest responsibility for paying for people’s health care and long-term care needs as they age?"